Softball Ireland is both the representative organisation for players and the administrative authority of the sport in Ireland. It is a member of the International Softball Federation, the European Softball Federation. We are a “not for profit” organisation and have no paid employees and rely on volunteers from our membership for the management and administration of softball in Ireland. Where necessary we outsource for the delivery of certain services. Softball is a bat and ball team sport similar to both rounders and baseball played by both men and women. Despite the name, the ball is not soft! It is a solid, leather covered ball about four inches in diameter. The Softball game consists of two teams alternating between batting and fielding. A team consists of ten players. The fielding team wear large leather gloves to assist in catching the ball. The batting team take turns hitting the ball with a bat. Bases are laid out in a diamond pattern on the field – first, second, third and home plate. The Pitcher is positioned at the centre of the diamond and pitches the softball towards the Batter who is standing next to the home plate. The object of the game for the batting team is to hit the ball ‘fairly’ and advance from base to base to score runs. The object of the game for the fielding team is to ‘catch out’ or run out the Batter in order for their team players to get a chance to bat. At the end of seven innings (alternating between batting and fielding), the team scoring the highest number of runs wins the game. Softball Ireland, formed in 1989, was set up to promote the game of softball and provide a structure through which events and competitions could be organised. More details about Softball Ireland can be found here on our website. When does the softball season begin? The Softball season begins towards the end of April and continues until September. So even if you hear about the game mid season, get in touch with Softball Ireland. It’s never too late to play. How do I find out more about softball? A detailed verbal or written explanation on how to play Softball is difficult to grasp. Therefore, Softball Ireland recommends that you watch a game being played to obtain a better feel and understanding for it. If you are watching a ‘friendly’ game, ask if you can join in. 1.1 The Name of the Federation shall be Softball Ireland. SI means Softball Ireland recognised by the National Olympic Committee, Regional Confederation and the International Softball Federation as the exclusive authority of the game of Softball in all Forms in the Island of Ireland. General Secretary means the General Secretary of SI from time to time. Officers mean the president (the “President”), the General Secretary General and the Treasurer (“Office(s)” shall mean the office held by an Officer.) The Officers shall be automatically Board Members and have the right to attend General Meetings and all other meetings of SI. Game means Softball played in accordance with the ASA Rules. General Meeting means a meeting of all of the Members of SI in accordance with Article 7 (in the case of Annual General Meetings) or Article 8 (in the case of Extraordinary General Meetings). International Softball Federation means the association of Federations or Regional Confederations in membership of the International Softball Federation (ISF) in accordance with its Constitution. National Olympic Committee means the National Olympic Committee (NOC) of the Country recognised by the International Olympic Committee. Jurisdiction means the territory of SI in which SI is the national governing body for the Game, namely the Island of Ireland. Quorum means the minimum number of entitled Teams who must be present for a General Meeting to transact business or take a vote. The Quorum for a General Meeting shall be 50% of the fully paid up Teams in accordance with Article 7 entitled to attend and vote at a General Meeting. International Tournament means any tournament played between National Representative Teams or Player, Club Teams nominated by SI. Member means the Player, Team, Club or Regional Association referred to in Article 6 and Article 17. Club means a body, collection of Teams or organisation affiliated directly or indirectly with SI which meet the membership criteria of SI in accordance with Article 6 and are approved by the Board to be part of SI. National Representative Team means a team selected by SI to represent SI. Regulations mean the SI Regulations relating to the Game and General Regulations binding on all Players, Clubs and Regional Associations and which have already been passed by the Board or which may hereafter be passed by the Board. Representative means an individual designated by and representing a Team at the General Meeting. Team means a body, or organisation affiliated directly or indirectly with SI which meet the membership criteria of SI in accordance with Article 6 and are approved by the Board to be part of SI. 2.2 Unless the context otherwise requires in these Articles the masculine gender shall include the feminine gender and Singular shall include the plural and vice versa. 3.1 SI is a member of the International Softball Federation and is bound by the ISF Articles, Rules and Regulations of the Game and the General Regulations of the ISF, included but not limited to all directions, directives and decisions made by relevant entities of the ISF including without limitation ISF standing committees and independent judicial, disciplinary and/or disputes committees or similar and shall comply with, uphold and enforce same within its jurisdiction. 3.2 SI is a member of the ESF and is bound by the Constitution of the ESF. 3.3 SI is the governing body for the sport of softball (in all variations) in the Island of Ireland. 3.4 SI is a not for profit Federation. 4.1 To administer the Game as its governing body within the Jurisdiction of SI. 4.2 To promote, foster, develop, protect and extend the Game within the Jurisdiction of SI. 4.3 Framing and interpreting the Constitution, Regulations and Rules of the Game. 4.4 Monitoring and assisting with the implementation and compliance with the ISF/ESF Articles, the Regulations and the Rules of the Game and notifying the ISF/ESF of any breach of same. 4.5 To assist Players, Clubs and Regional Associations of SI in the promotion and development of the Game where practical. 4.6 Deciding and/or settling all matters or disputes relating to or arising out of the Playing of the Game or any dispute between two or more Player, Clubs/Regional Association. 4.7 To manage an effective High Performance Programme to include but not limited to the organisation, training and management the national representative teams of SI. 4.10 Not to do anything which is likely to bully, intimidate, offend, insult or humiliate any person on the grounds or their religion race, gender, colour, sexual orientation or ethnic origin. 5.1 The General Meeting has the ultimate and supreme legislative authority in respect of the affairs of SI which it shall exercise in accordance with these Articles. The Board is responsible for formulating and overseeing implementation of SI’s strategic plan and application of policy decisions in accordance with the provisions of these Articles. In the event of any inconsistency these Articles shall prevail. 5.2 Funds, securities and other property belonging to or at the disposal of the Board may be invested in any property or class of security or securities without any restrictions whatsoever and shall be made in the names of any nominee company as may be from time to time be decided by the Board. The nominees or nominee company (as the case may be) shall have the custody of all securities and documents of title relating to the investment but such investments nevertheless remain at the disposal of SI acting by the Board. 5.3 Without limiting the generality of the foregoing SI acting by the Board shall have the Power to purchase or take a lease or license any real or personal property and shall have the power to authorize the sale, exchange, lease, mortgage, charge or other disposition of or dealing with any such property. 5.4 The Board may appoint one or more of its Executives or any nominee company (which may be the Company) to act in legal proceedings in the name of and on behalf of SI on such terms (whether as to costs or otherwise) as the Board may determine. 5.5 SI acting by the Board may enter into whatever business or contractual arrangements it deems necessary, proper and prudent within its resources to carry out its duties. 5.6 And Contract as set out in Article 5.5 extending more than three months beyond the date of an Annual General Meeting must be noted by the Annual General Meeting. 6.1 Membership of SI shall consist of the Players who are members of SI within the agreed Jurisdiction of SI pursuant to these Articles. 6.2 Any Player, Club or Regional Association conforming to these Articles and the SI Regulations may apply to become a Member of SI. 6.3 The Board shall consider applications for Membership of SI and has the authority to admit a Player, Club or Regional Association to Membership of SI. It shall be a condition of obtaining membership of SI that the Player, Club or Regional Association meet the applicable membership criteria set out in the SI Regulations approved by the Board from time to time. 6.6 A Player, Club or Regional Association whose subscription to SI is unpaid within 30 Days of the Schedule date as set out in the Regulations in any year shall receive notice from the Treasurer that in event of its subscriptions remaining unpaid thirty (30) calendar days after the date of such notice the name of the Player, Club or Regional Association will be struck off the list of Player, Clubs, Regional Association; and a Player, Club or Regional Association whose name has been struck off shall not be eligible for membership of SI until all moneys due by it to SI shall have been paid. 7.1 SI shall hold an Annual General Meeting no later than the 30th day of November each calendar year at a place and time determined by the Board. 7.2 Notice of the General Meeting date shall be published on the SI Website to the entitled attendees plus the Board in writing no less than three (3) months prior to the meeting. a. The General Secretary shall count the Representatives and the number of vote(s) for each Team. The list shall mention the attending Team and confirm the Quorum. No business shall be transacted at any General Meeting unless a Quorum of Teams is present. 7.3.3 No business other than that stated in the notice shall be transacted unless notice thereof shall have been given in writing to the General Secretary of SI at least fourteen (14) days prior to the meeting. b. Each Team shall designate a Representative to attend the General Meeting. The Team shall advise the General Secretary in writing in advance of the General Meeting or otherwise promptly upon request of the identity of the Representative(s) who shall be entitled to vote on behalf of the team. A Representative shall only be entitled to attend and vote on behalf of One (1) Team at any General Meeting. c. Unless designated as Representative(s) of a Team at a meeting, the Officers of SI shall not have a vote. The President shall have a casting vote only. b. Unless designated as Representative of a Team at a meeting, the Player shall not have a vote. The Quorum for a General Meeting shall be 50% of the fully paid up Teams in accordance with Article 7 entitled to attend and vote at a General Meeting. The decisions determined during any General Meeting shall ordinarily come into force with immediate effect and no later than three months of the completion of the General Meeting. The General Meeting may determine the date a decision shall come into effect case by case. A record of the meeting shall be kept by the General Secretary who shall make available a copy of the minutes within six weeks of the completion of the General Meeting to all Players, Clubs and Regional Association in Membership of SI. The minutes of the General Meeting shall be signed by the President and General Secretary at the next meeting. 8.2 No proxy votes shall be permitted. 8.3 Notice of the purpose for which the Extraordinary General Meeting is being convened shall be notified to all Player, Clubs and Regional Association at least six (6) weeks prior to the date fixed for the Extraordinary General Meeting unless 75% of the Representatives present and entitled to vote at a General Meeting, in the case of extreme emergency, agree that a shorter period of notice may be given. 8.4 The short notice provisions relating to the calling of an Extraordinary General Meeting may not be used in the case of an Extraordinary General Meeting being called for the purpose of considering amendment to these Articles. In such case six (6) weeks’ notice must be provided. 9.1 The Officers of SI shall comprise of an independent President together with a General Secretary and Treasurer. 9.2 SI shall elect Officers pursuant to Article 10.6(a) who may serve for a term of two (2) years. The Officers shall then be eligible for re-election at the end of his term pursuant to Article 10.6(a). The Office of President shall be elected on years finishing in odd numbers. The Offices of General Secretary and Treasurer shall be elected on years finishing in even numbers. 9.3 The President may be initially a Committee/Council member of a Team, Club or Regional Association, however, upon election the President shall relinquish any office or post held in a Player, Club or Regional Association within three (3) months. 9.4 The remaining Officers are not required to be independent so the elected General Secretary and Treasurer may also represent a Player or Club but not be an agent of SI. 9.6 The Officers shall be members of all Commissions and Advisory Commissions (including any associated working parties/sub-groups) of SI. 9.7 The President shall only have a casting vote at any General Meeting. 9.8 If the President shall cease in Office then the General Secretary elected pursuant to Article 9.2, shall assume the position of President for the time being and the Members shall elect a new President at its next General Meeting. 9.9 If the Secretary General shall cease in Office then the President shall appoint another member of the Board to become Secretary General until the next General Meeting. b. One Board Member from each Regional Association elected in accordance with Article 6 and the SI Regulations. c. Not more than three (3) other Members of the Board elected from the Players and Clubs in full membership of SI pursuant to Article 6. No Regional Association shall have more than one Board Executive. For the purpose of these Articles the Regional Association must be in membership of SI at the time of the General Meeting. The Board members set out in (b) above shall be nominated at the Regional Association AGM as laid out in the SI Regulations. The Officers shall be elected in accordance with Article 9. The other Members of the Board shall be elected from the Player, Clubs membership pursuant to these Articles subject to nomination as set out in Article 10.3.
c. In accordance with Article 9, the Officers shall serve on the Board for a period of two (2) years. The other Executives of the Board shall be eligible to serve as an Executive of the Board for a period of One (1) year. The Executives of the Board other than the Officers shall be elected usually but not necessarily at the General Meeting and for a period of one (1) year commencing at the completion of the General Meeting at which they were elected. d. Subject to the foregoing the other Board Executives may be re-elected by the General Meeting for a further period of one (1) year. f. The Board shall have power at any time and from time to time to appoint any person to be a Board Executive pursuant to Article 10.5(d) to fill a casual vacancy. Any Board Member so appointed shall hold office until the following General Meeting. The person elected to fill the vacancy at the following General Meetings shall be a Board Executive until the term of the Board ceases pursuant to Article 10.6(c). g. The office of Board Member shall be vacated if a Member of the Board is for more than six (6) months absent without permission of the Board from meetings of the Board held during that period. h. The Officers and Members of the Board shall execute and act in compliance with the SI Code of Conduct as set out in SI Regulations from time to time, any code of conduct, conflict of interest policy or similar document(s) of SI and all applicable Rules in accordance with corporate best practice. i. No Member of the Board shall be removed or suspended from office except by a 75% majority of votes by Representatives entitled to attend and vote at a General Meeting. The General Secretary must give not less than three (3) weeks’ notice to the Board Executive concerned of the General Meeting at which a motion for removal is to be considered. j. SI shall ensure that all of its Officers, Board Executives, Players, Clubs and Regional Association fully comply with SI, ESF and WBSC Articles and Regulations. k. SI shall ensure that no Officer, Board Executives, Players, Club or Regional Association instigates any action (legal or otherwise) on behalf of SI that has not been recorded and approved by a meeting of the Board. b. The Commissions will consist of a minimum of three persons, one of which is a member of the Board, appointed by the Board. c. The Board shall establish from time to time Advisory Commissions / Working Groups. Members and Terms of Reference of Advisory Commissions / Working Groups will be made by the Board. 11.1 SI shall be represented at the Regional Association General Meeting by the President or his nominated representative from the Board. 12.2 These Articles shall in all respects be governed by and construed in accordance with the Law of the Republic of Ireland and any dispute arising thereunder shall be subject to the exclusive jurisdiction of the courts of the Republic of Ireland. The official text of these Articles is in English. If these Articles are translated into or made available in another language(s) the English Language version shall prevail to the extent of any conflict between the English Language version and any version in another language. 13.1 Any disciplinary Commissions or other Commissions set up by the Board in accordance with the SI Regulations, shall have power to hear any matters that may be referred to, or reported to, the Board, and to make such decision or decisions as it thinks fit. The Board, Player, Club or Regional Association and any member thereof, including without limitation any player or person affected by any such decision, shall be automatically bound thereby as a condition of membership. 13.2 Any player or other person affected by a decision of the Board or its disciplinary or other committees may appeal that decision to the committee of appeal appointed independently of the Board, within seven days of the date of the decision of the said Board or its disciplinary or other committee. The decision of the committee of appeal thereon shall be final. 13.3 The background to and decision of the Disciplianry Commission appointed in accordance with Article 13.1will be published within 14 days of the final decision being reached being notified to all involved parties. 14.1 Amendments to the Constitution may be considered at an Annual General Meeting (AGM) or an Extraordinary General Meeting (EGM) specifically called for the purpose of amending the Constitution. 14.2 Proposed amendments to the Constitution must be publish in writing (either electronically or in hard copy) to all Members of SI at least six (6) weeks in advance of the date of the AGM or EGM. 14.3 No amendment to the Constitution shall be made unless agreed by a 75% majority of the Representatives present and entitled to vote at the AGM or EGM. 14.4 For the purposes of Article 14.3, the 75% majority shall equate to 75% of total votes cast inclusive of any abstentions. If a Representative fails to cast a vote this will be considered as an abstention. 14.5 The short notice provisions relating to the calling of an Extraordinary General Meeting may not be used in the case of an Extraordinary General Meeting being called for the purpose of considering amendment to these Articles. In such case six (6) weeks’ notice must be provided. 15.2 For the purposes of Article 15.1, the 75% majority shall equate to 75% of the total votes cast inclusive of any abstentions. If a Board Member in attendance fails to cast a vote this will be considered as an abstention. 16.2 Regulations of the Game may be changed at the February and June meetings of the Board Annually. 16.5 Any proposed amendments to such proposals must reach the General Secretary no later than February 14 in respect of the February Board Meeting and June 14 in respect of the June Board Meeting in the relevant year and these will then be forwarded to each Player, Club and Regional Association. 16.6 No amendments to the Regulations will be made without due notice as provided for in these Articles, unless it is an amendment consequential on arising from some other proposed amendment which due notice has been given, and unless 75% of the Board members present consent to the matter being considered without due notice. 16.7 The Board, in considering any duly submitted proposal to alter the Regulations and proposed amendments thereto may modify, alter and amend such proposal provided there is 75% majority of the Board Members present at the February or June Board Meeting has been obtained, and such modified, altered or amended proposals shall thereafter be incorporated as part of the Regulations. 17.1 A Regional Association may be formed by a Group of teams, subject to meeting the Development and/or Full Membership criteria set from time to time by Softball Ireland which is set out Schedule 1 of the Constitution. 17.2 A Regional Association may be suspended (but not expelled) from Softball Ireland Membership or reverted to Development Membership status by the Softball Ireland Board as an interim measure pending the formation of an independent review committee should the Board form the opinion that the Region no longer complies with the Softball Ireland Constitution, Softball Regulations or the Softball Ireland criteria as set out Schedule 1.
a. Regions objectives is to provide opportunities for teams and leagues of any age to experience the best in softball. b. The Association will be the standard of excellence in softball and will provide players, leagues, and umpires with the best training and services as provided by the parent organisation Softball Ireland who is proclaimed as the National Governing Body of softball in the Island of Ireland. d. Monitoring and assisting with the implementation and compliance with the Softball Ireland Constitution, Softball Ireland Regulations and notifying Softball Ireland of any breach of same. e. Ensuring application of disputes with regard to deciding and/or settling in the first instance matters or disputes between Teams relating to the playing of matches under the jurisdiction of the Regional Association. All decisions should be reported to Softball Ireland where they can then be implemented on an All Ireland basis or appealed there to. f. To co-ordinate arrangements subject to Softball Ireland Regulations to ensure that there is a programme of league matches and tournaments for Teams within the Region. a. Each Association shall elect a Chairman who may serve for a term of two years. b. Each Association shall elect a Secretary who may serve for a term of two years. c. Each Association shall elect a Treasurer who may serve for a term of two years. d. Each Association shall nominate a Softball Ireland Board Member who may serve for a term of one years in accordance with these Articles. f. The Officers shall sign and act in compliance with the Softball Ireland Code of Conduct. g. The Chairman, the Secretary and the Treasurer may have the right to sign for the Association. h. Decisions shall be signed by the Chairman jointly with either the Secretary or the Treasurer. i. Orders of payment, cheques must be signed by any two (2) of the above persons. j. If any of the elected Officers shall cease in office then the Regional Association Council shall fill the position pro-tem pending the next General Meeting. Each Officer position must be placed before a General Meeting for re-election every two years. k. Each Association shall hold a General Meeting each year unless a different time rota is agreed by the General Meeting for exceptional or operational reasons. (iv) full papers containing the official programme and any relevant information for the attending participants shall be prepared. These shall ordinarily be circulated to members and Softball Ireland prior to the meeting. m. Each Association shall elect an Executive Committee of at least five (5) members consisting of the Officers mentioned above and Ordinary Members. n. Each Regional Association shall ensure that all of its Officers, Executive Committee Members and Teams fully comply with the Softball Ireland Constitution and Regulations. o. Each Regional Association shall ensure that all requirements as set out by Softball Ireland from time to time are met. b. The employee(s) will report to Softball Ireland and will work with the Association so as to deliver the objectives of the Strategic Development Plan. c. The Association may apply to the Softball Ireland for funding to enable it to discharge its functions efficiently. Softball Ireland reserves the right to review and amend its obligations in this regard without notice. (iii) Funding, as appropriate, for specific development projects and events. 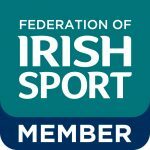 e. The amount of apportionment of financial support will be confirmed annually by Softball Ireland following full consultation with the Association and having regard to the Strategic Development Plan and general intention to support programmes and competitions on a regular basis where resources permit. a. 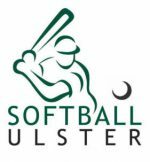 The Regional Association shall be represented on the Softball Ireland Board by one Representative nominated by the Regional Association in accordance with the Softball Ireland and Regional Association Constitution and Regulations. The Regional Association representative will have the responsibility to report on Regional activities to SI and SI decisions/activities to the regional Association. b. Softball Ireland shall be entitled to be represented and participate at meetings of the Regional Association. a. In the event of a doubt arising at any time on a matter not provided for in, or as to the meaning or construction of the Regional Association Constitution, the Softball Ireland President shall be requested to determine same in accordance with this constitution. 18.1 The Association is a member organisation of the Irish Baseball and Softball Federation, and will be represented on the Council of that body by the SI President, Secretary and Treasurer.